VISportsClub™ is a complete web solution for sports organizations. It can handle registration processes, scheduling, statistics, team management, and a variety of other functions in a cost effective manner. and the online forms facilitate signups and multiple payment options. 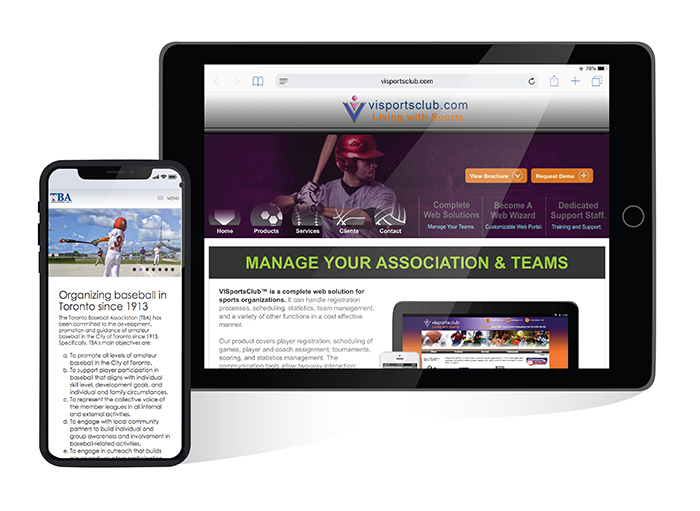 Your VISportsClub™ solution substantially reduces manual work amongst administrators to register players efficiently and manage their local clubs or Affiliates effectively. We pride ourselves on the quality of our products and customer services. The right choice is just one click away. Learn why our clients pick us over our competitors.